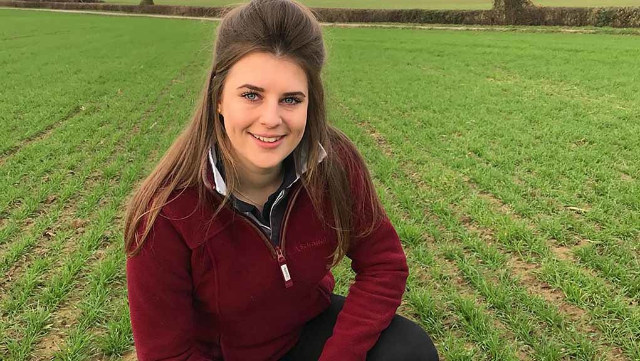 Emily Jones, 19, is a second year agri-business student at Harper Adams University. Emily comes from a rural farming family, and lives with her boyfriend, Sam, whose family grow potatoes for McCain in Herefordshire. Oxford: I feel honoured to have been given the opportunity to attend the Oxford Farming Conference 2019 (OFC) as a scholar, and was inspired by the speakers, the discussion and the passion which industry leaders and conference delegates demonstrated towards British agriculture. During the three days, we were challenged to discuss food provenance and debate the strengths and weaknesses surrounding local versus global food production in scholar’s workshops. While at the conference, entitled A World of Opportunity, we heard from politicians, scientists, farmers, Princess Anne and industry experts. It was great to listen to such a range of speakers. But, in particular, I was inspired by NFU president Minette Batters, who spoke about our industry with passion and integrity. Many speakers stated farmers must be more market-driven and continue to be positive advocates for the sector; others expressed the need to reduce the gap between farmers and scientists in order to increase innovation, while others stressed the importance of working with the next generation. It was great to network with fellow scholars and build what I hope are lifelong friendships. Although the future may bring challenges, the industry must remain optimistic, maintain a positive mindset and remember that change often brings opportunity. I feel privileged to have attended the OFC as a scholar sponsored by Harper Adams University, as a result of my position as chairwoman of the Harper Forum, which is a student-led society that hosts industry speakers each week. Placement: I am excited to have accepted a scholarship placement with agricultural health and safety consultancy business Safety Revolution for 12 months, starting in summer. I had never considered a career in health and safety until meeting the team at Safety Revolution, but was inspired by the company’s ethos. In the future, I would like to be able to help and advise farmers as to how they can better protect themselves, their families, their employees and their businesses against preventable harm, by implementing sustainable safety measures. Educating children and young adults is also vital in developing a safety conscious culture in the industry for the future.